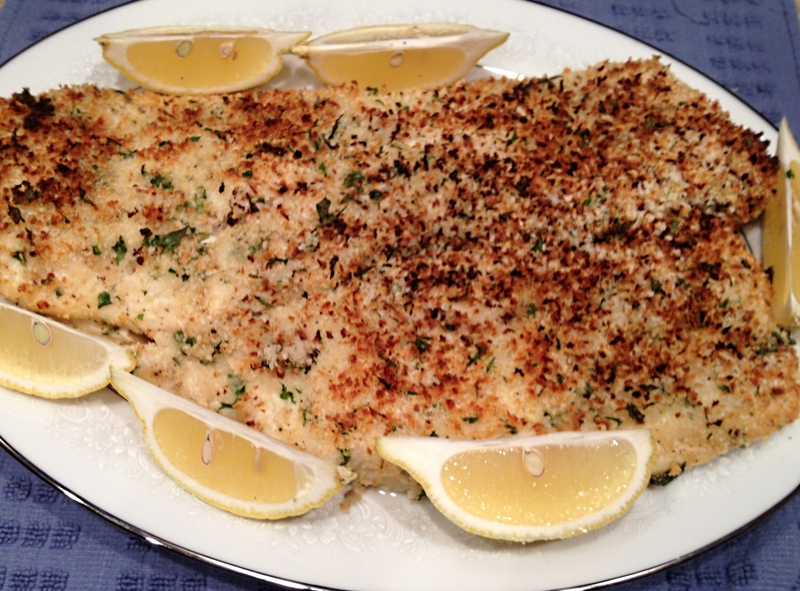 Season fish liberally with salt and pepper and place on a parchment lined, rimmed baking sheet. Combine panko, lemon zest, parsley and salt and pepper. Spread aioli on fish and top with panko mixture, the aioli will help the panko adhere to the fish. Spray the breadcrumbs with oil and place in oven. Cook for ~20 minutes until the panko is golden brown and center of fish flakes apart easily with a fork. *If using a plain vegan mayo, I add 2 cloves of garlic, finely minced.